In the Republic of Uzbekistan, being Uzbek has less to do with one’s lineage and more to do with one’s allegiance to a society. The advantages of this voluntary membership within the Uzbek “social network” are explored in Variations on Uzbek Identity: Strategic Choices, Cognitive Schemas and Political Constraints in Identification Processes. Below, Peter Finke discusses his attraction to Uzbekistan, his writing process, and the volume’s potentially controversial reception. 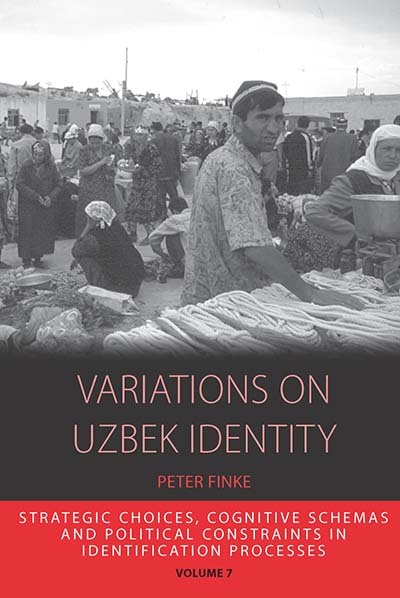 Berghahn Books: What drew you to the study of Uzbekistan, specifically “Uzbek Identity”? Peter Finke: My general interest in Central Asia goes back a long way into childhood fantasies of roaming horse riders and the like. Most of Uzbekistan does not really fit that well into this and indeed my early research in the region was on nomadic pastoralists in Western Mongolia. It was after I took up a postdoc at the Max Planck Institute to work on identity issues that I not only switched topics but also field sites. BB: Did any perceptions on the subject change from the time you started your research to the time you completed the book? PF: A lot of things changed after I started this project. Probably the thing that struck me most was the amazing differences with my first field site. And this although the two groups in question, Kazaks and Uzbeks, are usually considered to be linguistically and ethnically close relatives. But, on the risk of being simplistic, the contrast between a highly mobile group on the one hand and a long-established sedentary oasis population on the other could not have been stronger. In my view, however, the Uzbek case – and that is what I try to say in the book – also challenges common understandings of ethnicity being grounded in history and genealogy by giving much more emphasis on locality and shared socialization. That is what I call a territorial concept of identity and transmission of personhood. This also, to some degree, changed my theoretical thinking in anthropology. My work on the Kazaks in Mongolia was primarily on the process of de-collectivization and how this had changed economic and social relations. I therefore relied on models of rational choice and new institutionalism. It is not that I dropped this altogether – as you can see from the book – but I felt the need to supplement this with other approaches that give credit to the ideas that people have in their mind and how they add up to shared cultural models of understanding the world. That is where cognitive anthropology entered the field. BB: What aspect of writing this work did you find most challenging? Most rewarding? PF: The biggest challenge was probably the difficult political situation in Uzbekistan and the risk of jeopardizing informants. In the end, the topic of ethnic identity turned out to be less problematic in this regard than, say, economic transformation or religious revival. Still, I do not regret that it took more years than expected to finally publish these materials, as it does not change the argument and will make it much more difficult to track down individual comments and opinions. BB: To what extent do you think the book will contribute to debates among current and future academics within the field? PF: Well, we all want our work to be seen as something like a milestone, I guess. The book certainly is unique in a number of aspects. It is the first detailed ethnographic account of local identity patterns in Uzbekistan. As such, it is also the first to do this in a comparative way, looking at internal variation of Uzbekness. In fact, one of the key arguments in the book is that this variation and therefore its changeability is part of the very concept. It is also the most theory-driven account on the topic, although this may be not to everyone’s liking. I assume this will also be the last of its kind due to the difficult research conditions in Uzbekistan these days. And, of course, future work on the topic will inevitably come up with different results, not only because different scholars see the world differently and they see things that are in a process of permanent change. More important, the situation in Uzbekistan has changed fundamentally since the time of my fieldwork due to the mass labour migration to Russia. There is a certain paradox to that. All through the Soviet period, the authorities tried to push the Uzbeks to become more mobile and recruit them as industrial labour force in other parts of the union. With little success (in line with the arguments of the book). Now that the USSR is gone, millions of people seek to make a living by working “abroad” in Russia. This will certainly have much of an impact also on identity patterns. BB: Do you think there are aspects of this work that will be controversial to other scholars working in the field? PF: Oh sure. I guess there will be a lot of disputes over some of the arguments in the book. One is the role of the Soviet national engineering on local and ethnic identity, which, I claim, has probably been exaggerated in the literature. This will be hard to accept for many people (and was certainly not a finding I expected when I started off). Quite a few anthropologists will also be skeptical (and some of them hostile) towards the theoretical approach taken. Neither new institutionalism nor cognitive anthropology are currently very popular in our discipline due to their more “scientific” and analytical character. And some colleagues, as you know, find the idea of comparisons altogether doubtful. Others will hold that I give too much emphasis on the individual and local level, neglecting the doing of the state. I believe I give good reason for this in the book but may not be able to persuade everyone. Peter Finke is Professor for Social Anthropology at the University of Zurich and Co-director of the Centre for Anthropological Studies on Central Asia (CASCA). Between 2000 and 2006 he was a Research Fellow and Head of a Research Group at the Max Planck Institute for Social Anthropology, Halle. He also served as a Visiting Professor at the University of New Hampshire (2002/2003) and the Middle Eastern Technical University, Ankara (2004 to 2006). Since the early 1990s he has conducted field research in Mongolia, Kazakstan, and Uzbekistan, and has published extensively on economic transformation, social change and processes of identity formation.